Mermaid based themes have always been an instant hit amongst online UK gambling enthusiasts and rightly so. The underwater world has always been intriguing, and the very idea of mermaids in the seas still fascinates many. So, when Microgaming decides to bring about a title based on that theme, it sure is bound to generate some interest. 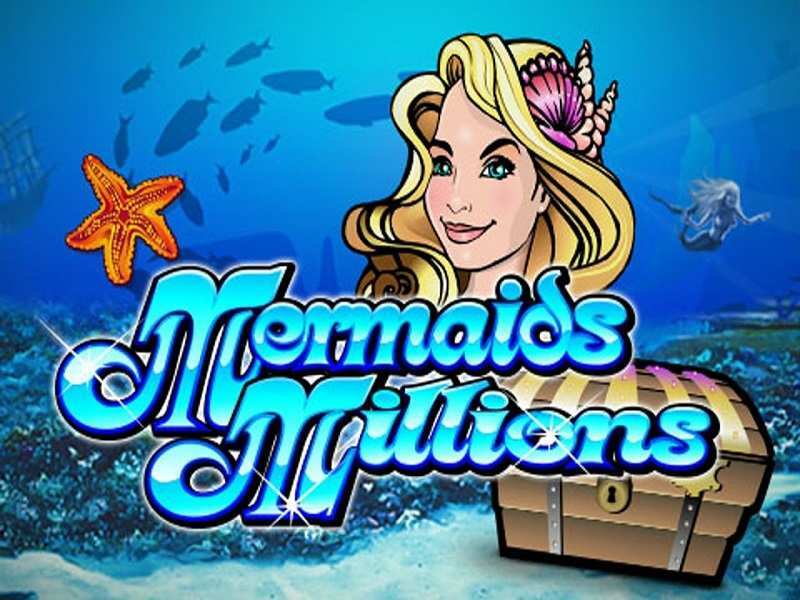 Mermaids Million is not a new but an old classic free slot that was one among the few productions to venture into the mythical underwater world of treasure chests, pearl-bearing oysters and of course, mermaids. Mermaids Millions casino slot machine is a 5 reel and 15 paylines title which stands as one of the earlier collections by Microgaming. Mermaid games were quite a rage in old times, and many popular developers tried incorporating this theme into their best creations, Microgaming is one such developer. This casino production is set in the backdrop of an underwater world with different catchy symbols like seahorses, pearl-bearing oysters, King Neptune and high card poker symbols and an assortment of other sea creatures. Before you dive into the gaming part, you need to place your bets. You can start with the “+/-“ tab which will help set your bet range that varies from €0.02 to €2. The “select coins” and “select lines” will then help you set the number of coins per line and the number of lines to bet respectively. Once you are done with setting your preferences, then you can hit the “spin” button which will then automatically set the reels in motion. As is the case with most titles today, there is also the option of “autoplay” for players to use the reels for a given number of times. Free Spins:No one can really say no to a free spins feature. In this title, triggering more than three scatter symbols entitles you with 10 free spins and all your wins during this time are then multiplied three times your original win and a substantial payout. The mermaid is the scatter symbol to look out for. Wild Symbols:The wilds symbols in Mermaid Millions is represented by the mermaid king and landing any of these on an active pay line will help you in winning a jackpot of 7500 coins. This symbol also helps substitute all the other symbols except for the scatters and bonus symbol. The “Treasure Chest” in the bonus symbol here and landing any three of these on an active payline will help trigger this feature. The number of chests that a player triggers is also the number of picks he gets. You are then straightway transported into an underwater setting where you get to pick between different objects which will reveal some sort of cash prizes. Online players can now enjoy Mermaids Millions slots on different platforms across the internet. You can bet here for real money or play for free as per your convenience. No download or deposit is required whilst playing on such online platforms. You can play free Mermaids Millions casinos slot machine which makes for an interesting slot for amateurs as well as pro players looking to have some good time playing video game slots. 0 responses to "Mermaids Millions Slot"